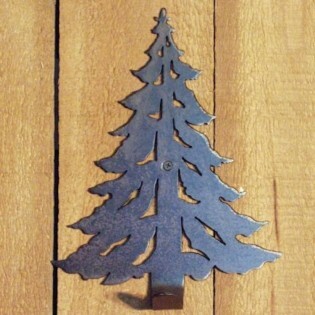 This rustic evergreen single hook makes a bold statement in hand cut metal. Use it for your thickest bath towels or heaviest coats this hook is as strong as it is beautiful. Made of hand cut metal with a bronze/rust look finish. Made in the USA. 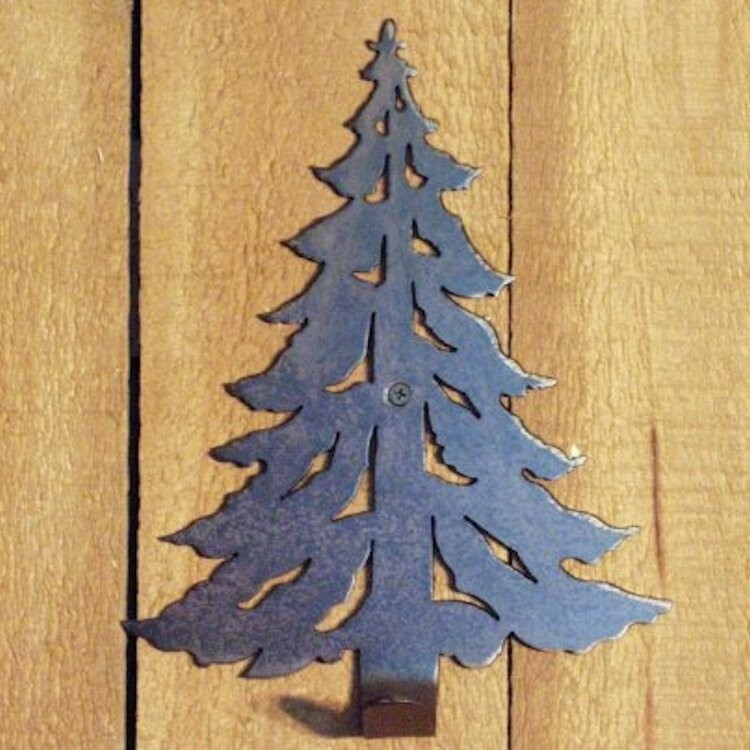 This rustic evergreen single hook makes a bold statement in hand cut metal. Use it for your thickest bath towels or heaviest coats this hook is as strong as it is beautiful. Made of hand cut metal with a bronze/rust look finish.